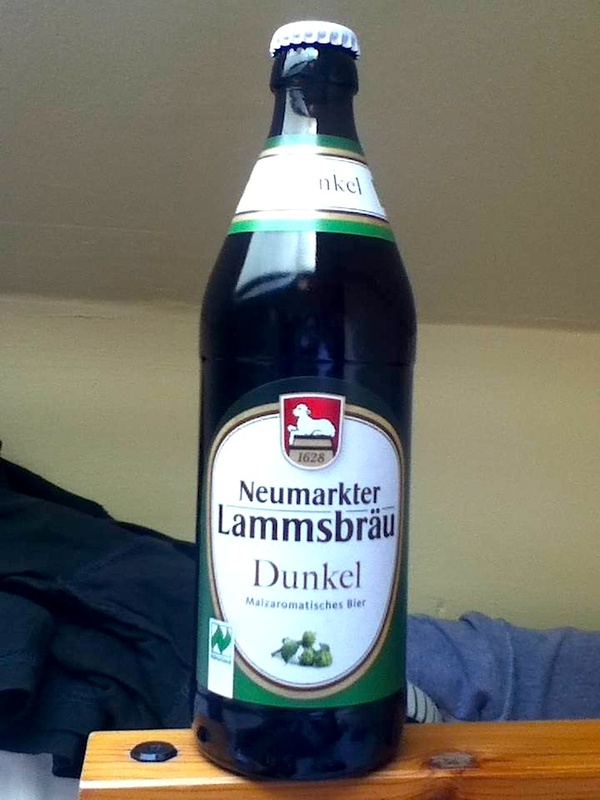 Last Monday’s post of our EU AUSTERITY DRINKING TOUR saw us visit Potsdam and try a Dunkel beer from there (read: here). We return to Berlin for Christmas Eve. What better way to spend the eve of Christ’s birth than visiting Nazi and DDR historical sites? Everything was closed. So I am thankful for our budget food. Instead, memorials, car showrooms, parliament buildings, and embassies fill the place. 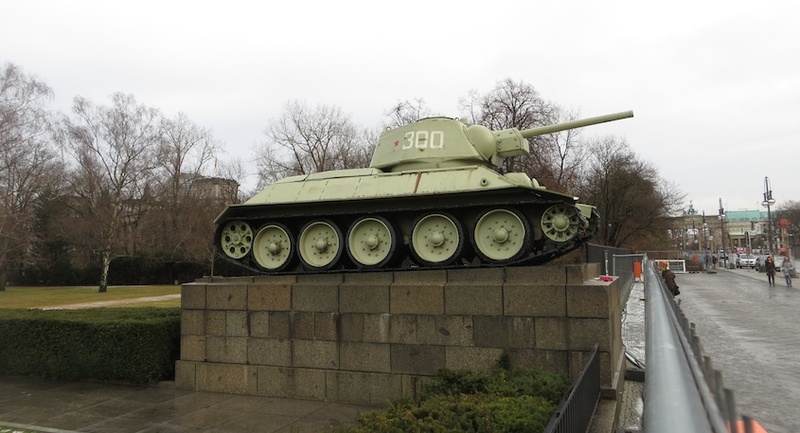 The soviet tanks flanking the intensely fascist USSR memorial are fantastic. 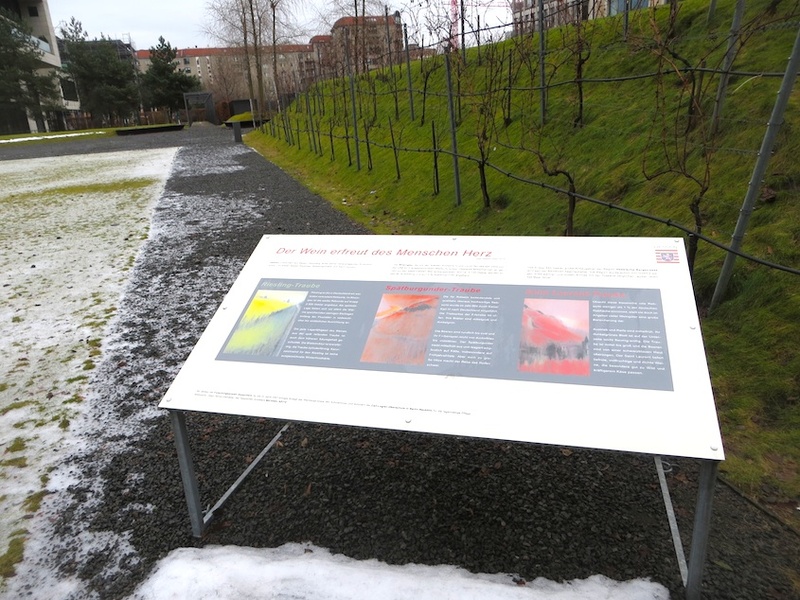 Yes, only Wayward Wine could find a gov sponsored vineyard featuring Riesling, Pinot Noir, and Saint Laurent growing from the place Hitler spent his final days. 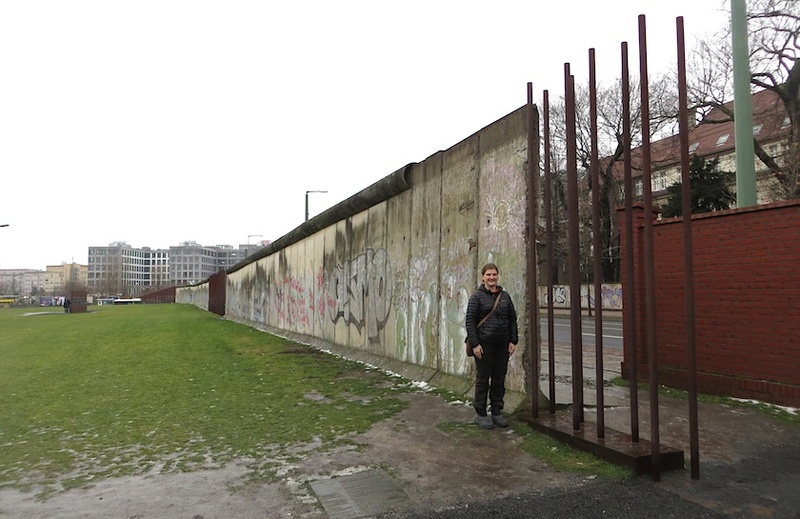 A watchtower still looms over this divide that slowly separated Communist Berlin from its next door neighbors. With the sun setting at 4, we head back to our hostel. We whip up a great potato gratin and the whole place salivates. 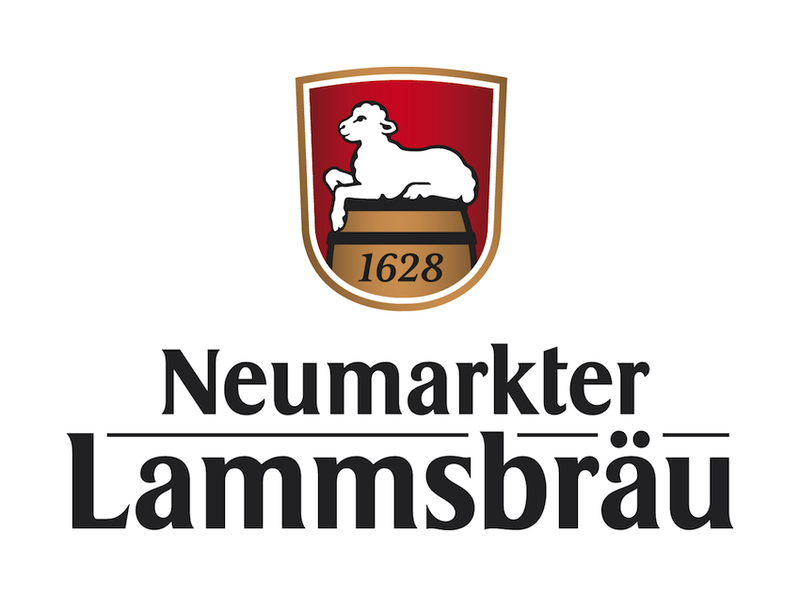 Begun as a brewpub in 1628, Lammsbrau has been owned by the Ehrnsperger’s since 1800. Although now huge, Lammsbrau has made organic beer for 30 years, and may be the largest organic brewery in the world. The also have their own malt house and ancient well. Even their delivery trucks run on vegetable oil. APPEARANCE: looks a clear, mild amber, with small fizz and an off white, thin head. AROMAS: smell moderately of caramel, maltose, and apple, with light spices of cinnamon, vanilla, and nutmeg. PALATE: feels dry, with mild acidity and bitterness, a decent 5.1% alcohol, and fullish body. FLAVORS: tastes of mild caramel apple, cocoa powder, and wheat bread, which last a medium length. 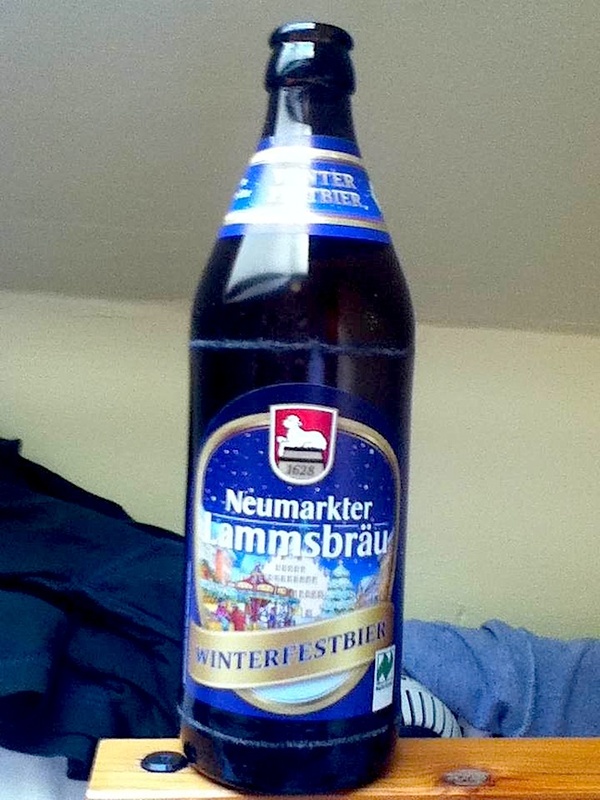 Their Winterfestbier is good (3 of 5) if a bit safe, simple, straight-laced, even a bit dull. But one could drink tons of it. APPEARANCE: looks a clear, rich ruby brown, with small fizz and an off white lace. AROMAS: smell of medium intense aromas of toasted nut, malt, and grassy, leafy hops. PALATE: feels dry, a trifle more tart and bitter, similar medium alcohol 5%, medium body, FLAVORS: again don’t overwhelm, tasting moderately of toasted nut bread, mild coffee, snappy grass, and dry leaf that last a medium length. Again, my verdict is good (3 of 5). However, expecting overwhelming intensity from these beers is akin to expecting tropical weather in Berlin in December. Last chance lamb beer. Impress me. 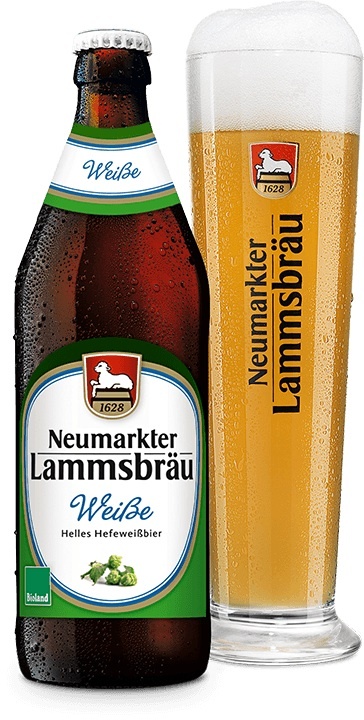 Neumarkter Lammsbräu, WeiBe Hefeweissbier, Newmarkt, Germany. € 0.90 APPEARANCE: a hazy, pronounced amber brown, with a well-held cm off white lace. AROMAS: smell clean, and moderately of aroma of pear, with malt akin to a caramel macchiato. PALATE: feels dry, more tart, moderately bitter, with 5.1% alcohol and a medium body. FLAVORS: taste of medium plus toasted oats, raisins, pear, and caramel. Their Weise is toasty, yet fruity and lean with a medium plus length. There is simply more going on here: Very good (4 of 5). With the clock ticking to Christmas, we collapse in a glee-full pile of potatoes and beer. 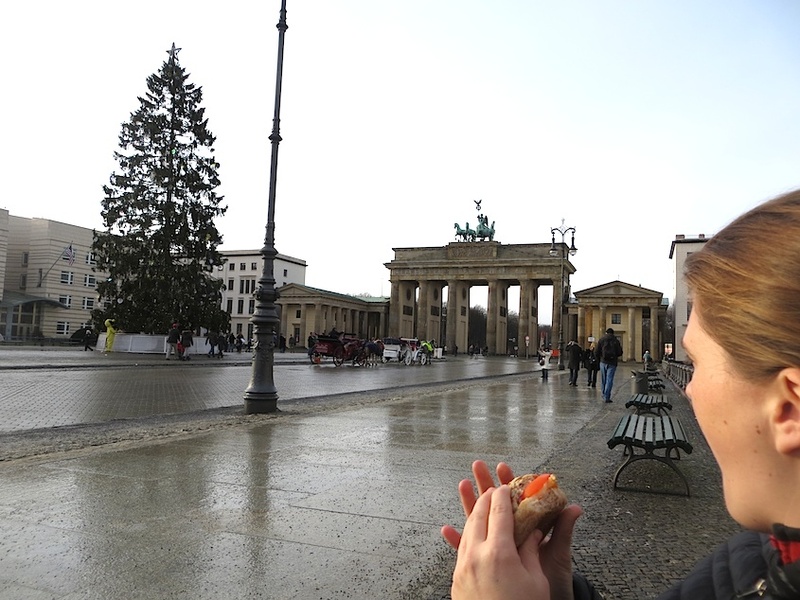 Check out next Monday’s post of Christmas in Berlin: this time with fewer Nazis and Commies. 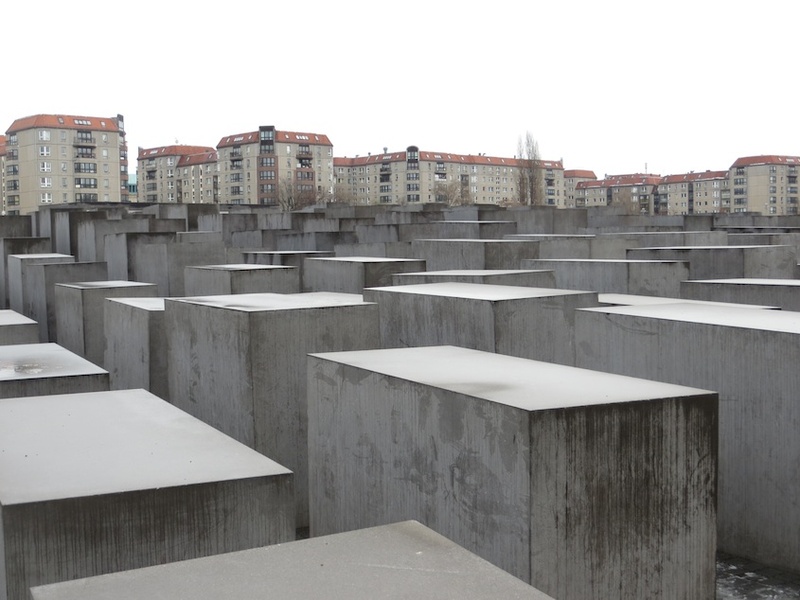 This entry was posted in Uncategorized and tagged Bebelplatz, Berlin, Brandenburg Gate, EU Austerity, Hitler, Hitler's Bunker, lammsbrau, Organic, organic beer, pinot noir, riesling, Saint Laurent, Soviets, travel, USSR, WWII. Bookmark the permalink. You would think the “Bunker Vineyard” would utilize historical context for PR purposes. . . from the ashes rises a new society, a new wine, but how would they explain the terroir? I can hear it already in blockbuster, movie preview voice. I have no idea if there’s a wine for it.